Eskom Holdings Soc Limited Gauteng invites tenders for the Provision of Strengthening of the Northern Staircase at Duvha Unit 3 Boiler for a Period of Eight Months. Department of Public Works Roads and Transport Nelspruit invites tenders for Demolishing, Refurbishment and Construction of New Facilities at Mbatini Lower Primary School (Phase 1) in Mkhuhlu, Culcata C Bushbuckridge Local Municipality. The KZN Department of Public Works: eThekwini Regional Office invites quotations for Rendering of security services at Queensburgh: 58 Middleton Road for a period of thirty six (36) months. 25 April 2018 at 11:00 Requirements for sealing, addressing, delivery and assessment of the tender are contained in the tender document. The department reserves the right not to award to the lowest bidder. In addition, the Department will conduct a detailed risk assessment prior to the award of the bid. Submission of a PDF copy of the completed bid tender document together with all supporting tender documents must be submitted on a readable compact disc together with the bid at close of tender. Late submissions will not be accepted. Faxed or emailed bids are not accepted. Only bidders registered on the Database and Central Suppliers Database (CSD) will be legible to submit bids.Bidders must submit BBBEE or EME certificate issued by a Verification Agency accredited by SANAS or a Registered Auditors or Affidavit. Submit the following mandatory documents: Proof of registration and proof of contributions payments not older than three months to the Unemployment Insurance Fund (UIF) and Employees Provident Fund. Proof of registration with the Independent Communications Authority of South Africa (ICASA) i.t.o radio equipment and frequencies used. Letter of good standing with Compensation Commissioner (COIDA) and PSIRA. Proof of registration and payment not older than three (03) months with PSIRA for both Directors and Shareholders as well as the company. Failure to submit these mandatory documents at the close of tender, bidders will invalidate your quotation. Description: Tenders are invited for the following: Tri-Annual Contract for Sewer Infrastructure Rehabilitation Using Trenchless Technologies. Site Inspection: Compulsory Briefing Meeting: 01 December 2017 at 11:00; Venue: Aurecon, Lion Roars Office Park, Corner of Heugh Road and 3rd Avenue, Walmer, Port Elizabeth. Tenderers arriving 10 minutes late will not be allowed for a clarification meeting. Restrictions: CIBD Grading: 5 CE or Higher. All tenderers must be registered on the Municipality’s supplier’s database through NMBM database. The Municipality reserves the right not to consider the tenders of tenderers not registered on the Nelson Mandela Bay Municipality’s supplier’s database. Please phone NMBM database to register, If not yet registered.Submission of Opening and Opening of Tenders: Tenders must reach the Municipality by not later than the closing date and time.The tenders in sealed envelopes, clearly stating the contract number and description, Tenders will be publicly opened simultaneously in the boardroom, Supply Chain Management Office, Harrower Road, North End, Port Elizabeth and the Conference Room, first floor. Municipal Offices. Market Street. Uitenhage, Thursday, 11 January 2018 at 11:00 on the application.The Council does not bind itself to accept the lowest or any tenders and late tenders will not be accepted.The Council promotes the use of previously disadvantaged small and medium contractors. Details of the preference formula appear in the Supply Chain Management Policy of the Municipality and can be obtained from the Director: Supply Chain Management, Harrower Road, North End, Port Elizabeth. Bid Validity Period: 180 days. 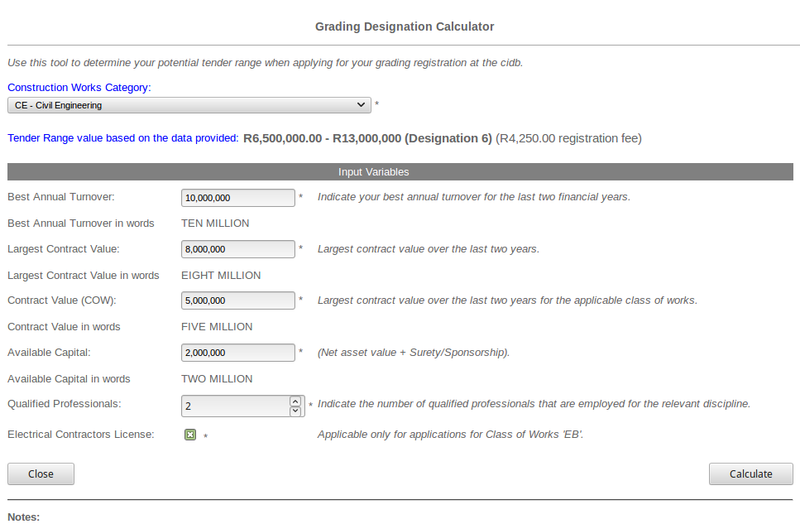 Description: Advertisement for Pre-qualification of Targeted Enterprises to Participate on Sanral Contract No. NRA N.006-020-2017/1: The Special Maintenance of National Route N6 Section 2 from Stutterheim (km 0.0) to Cathcart (km 48.4). Sanral hereby invites Prequalification applicants from Targeted Enterprises, to submit their documentation for pre-qualification to be considered on project: Special Maintenance of the National Route N6 Section 2 from Stutterheim to Cathcart, under Contract NRA N.006-020-2017/1. Site Inspection: A compulsory information briefing meeting will take place on 13 September 2017 at 11:00 at the Stutterheim Library Hall, Stutterheim. Applicants must be represented by a representative who must be the Applicant himself or an authorized person in the direct employ of the Applicant. Restrictions: Contractors with the following active CIDB contractor grading designation within the following targeted areas will be included into the submission of the pre-qualification application on 22nd September 2017. 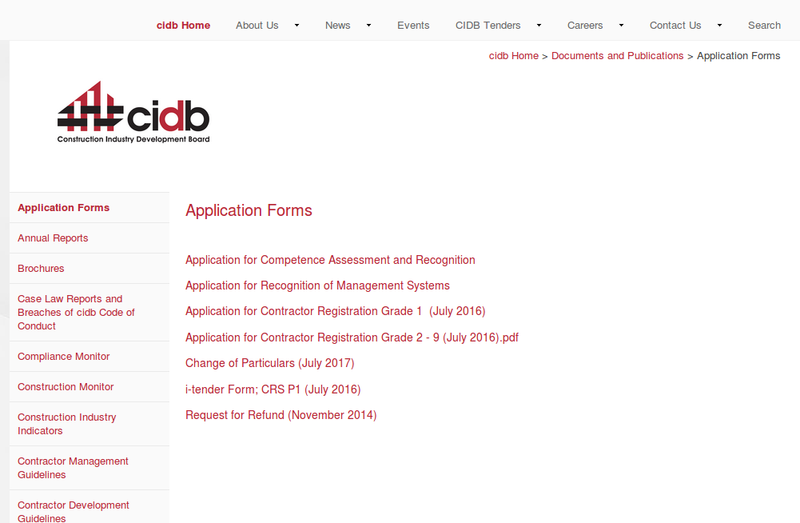 CIDB contractor grading designation: Grade 1 and 2 CE PE / SK – From within Amahlathi Local Municipality. Grade 3,4, and 5 CE PE / SK – From within Amathole District Municipality. Grade 6 and 7 CE PE / SK – From within the Eastern Cape Province. 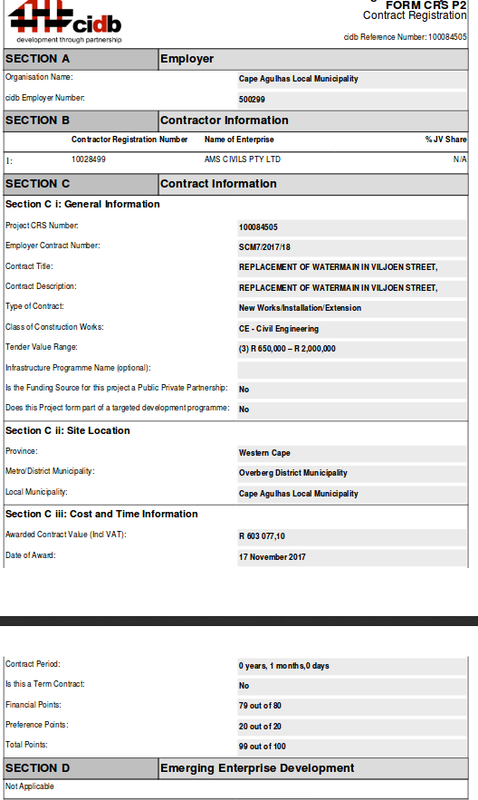 Queries relating to issues arising from this document may be addressed to: Mr Stephan Van Der Walt of Aurecon South Africa (Pty) Ltd. If you are a valued Tender subscriber, Click to here for more information.